Two children and their nanny are dead in the home of a rich young lawyer and his beautiful wife. 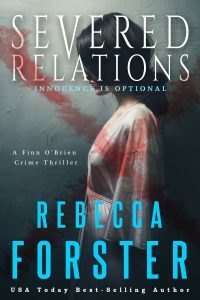 To find out who could have committed this unspeakable crime shunned cop, Finn O’Brien, follows a trail of bodies and shattered relationships to connect the dots between the ladies-who-lunch, lawyers who skate on the edge of the law, pornographers, and Hollywood freaks. What he finds is that the truth is the cruelest cut of all.